I’m a procrastinator. Always have been. The only time in my life that I’ve been up to date on schoolwork through an entire semester was when I was doing my MA degree, and that was only because the workload was just plain crushing from day one. There was no time to get behind. Crushing. Before that, I usually didn’t start studying until a few days before the exam, stayed up through nights and crammed, crammed, crammed. And I got away with it. The next month or so will be a tough one. I have loads of work to do and turn in before the middle of September. I also have to pack up all our stuff and move into our new apartment in Reykjavík. Oh, and really get cracking on some fairly important stuff. Like applying for maternity leave. There’s a lot of paperwork involved in that particular endeavour, believe you me. When all this is done, I can finally just relax and prepare my mind and body for this having a baby thing. Oh, and maybe get around to buying all the stuff we still need and getting the crib and so on. Three weeks is plenty of time for that, right? A stylish, really powerful, very cheap food processor. I know, I have a better chance of finding a Bulgarian-speaking unicorn. (Hence, the abstract picture). It’s just that I only have so many more weeks in me of stubbornly using my tiny little blender instead of a real food processor. And I do love to blend. And, you know, process. Food. 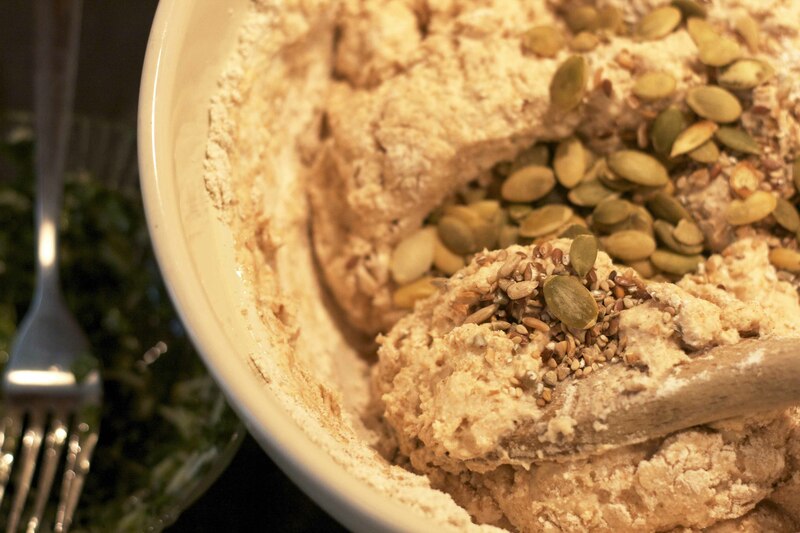 Once you’ve made your own hummus or falafel or sunflower seed pâté there’s just no going back… And I feel I can no longer live without stuff like this or this. Seriously. A bright pink lipstick to make me feel that Spring is on its way. And yes, I do feel like a fraud for being sick of winter after only being back in Iceland for three weeks while my countrymen have stuck it out since early December. But I can’t help it. Spring? 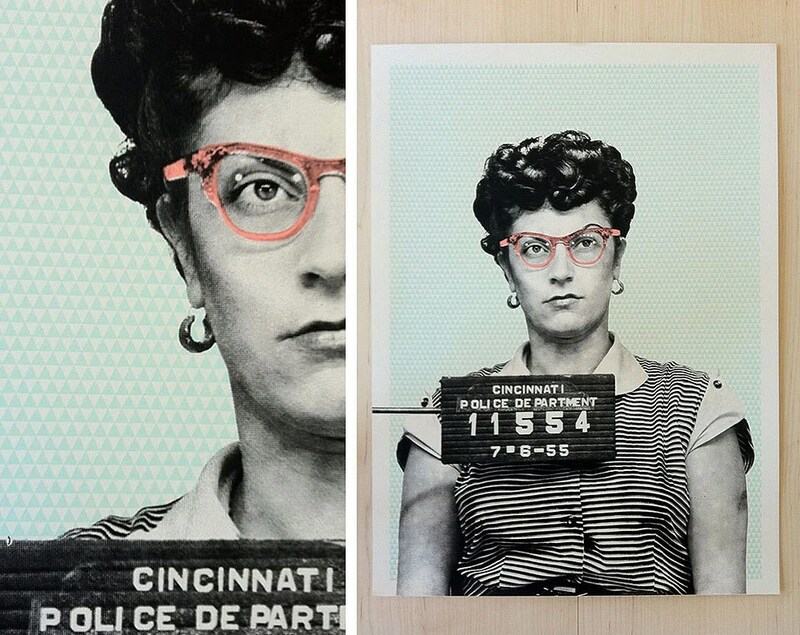 This mugshot print of the charming Lenore from Larken design on etsy, created from the original Cincinnati police negative they somehow unearthed. I love it. Lenore looks like a fun gal, don’t you think? I wonder what she did to get arrested… Any guesses? My current theory is she was shoplifting something completely unnecessary – just for kicks. A new lens for my camera, since my Canon EF 50mm f 1.8 suffered an accident during our travels in India and is no longer, I’m sorry to say. I’m praying that our travel insurance will cover it. The Canon EF 35mm f 2.0 sounds pretty good. Anyone have experience with it? That’s my wishlist for March! Oh, and some more sunshine would also be very, very nice. Pretty please? Now it’s off to the theatre with my friend Dagný and her glorious seven year old son who always makes me smile. Have a lovely weekend! Pictures are linked to their sources. Recipe time! Who doesn’t love bread straight from the oven? You? In that case, I am going to have to ask you to leave. It’s okay, you can come back later. But I will be speaking about bread as if it were the one good thing in the world, the unknown force holding it all together, uniting people and keeping the dark at bay. This sounds like the beginning of a (rather bad) fantasy novel. It’s not. I just really like bread. This bread in particular. I’ve been on a bit of a health kick recently. I can’t count calories to save my life and most diets sound inherently stupid to me. No carbohydrates? Are you kidding? We need them! 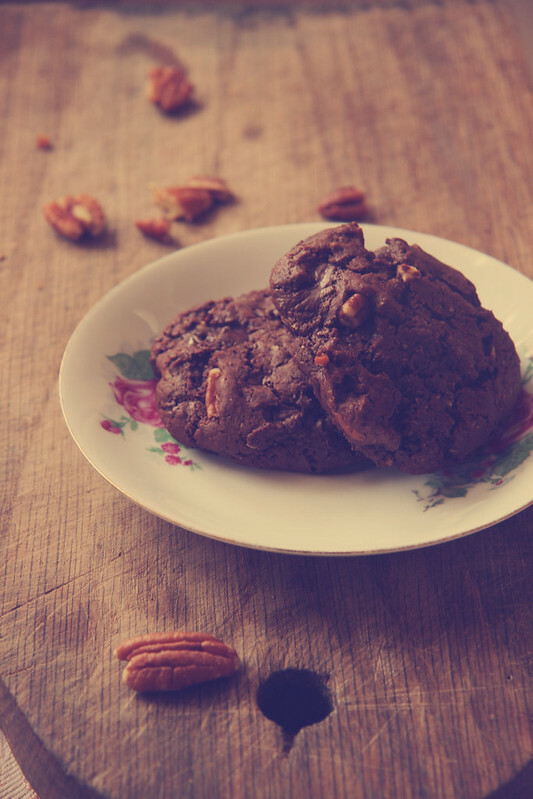 Mostly, I just don’t like the focus on depriving yourself of this or that and weight-loss as the ultimate goal. My reasoning is this: if you eat healthily, pay attention to what you consume and how you do it, educate yourself as to what your body needs and try to give it just that most of the time – you should be healthy. And if you need to lose weight, you will probably do so as you become healthier. That being said, I am NO angel. Oh no, sir. I still have ice cream. And chocolate. And, once in a while, potato chips. (Gasp! The horror!). But this now occurs more seldom than before, which I consider a success. Also, I try to eat as much as I can of food that I know to be good for me. This has turned out to be easier than I ever thought it would be. If you focus on getting the best nutrition for your body you’ll find yourself eating a lot. Non-stop, almost. There’s so much fruit to be had, beans and grains and salads and hummus and oh, god, the falafel. We’ll get to that later. First, preheat your oven to 180-190°C (350-370°F). Then, combine all dry ingredients. 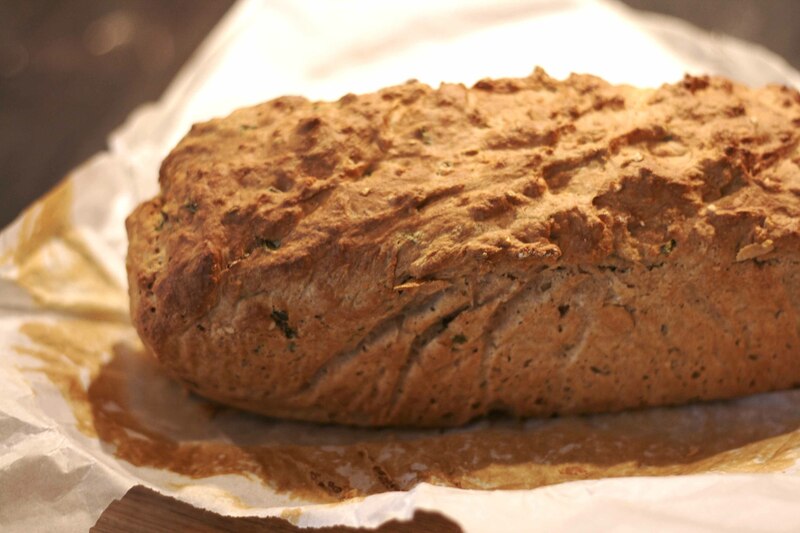 I use spelt flour, but you can probably use whatever flour you like – you just might have to adjust the amount of liquid. Add seeds and/or nuts. I never measure these, just add a healthy amount. Stir agave nectar (or honey, you could definitely substitute honey) into buttermilk. I use AB-mjólk, as it’s called in Icelandic, a buttermilk with added acidophilus and bifidus cultures; healthy bacteria. Pour buttermilk mixture into the flour mixture and combine. Don’t overdo it, just fold it in until dough is combined. 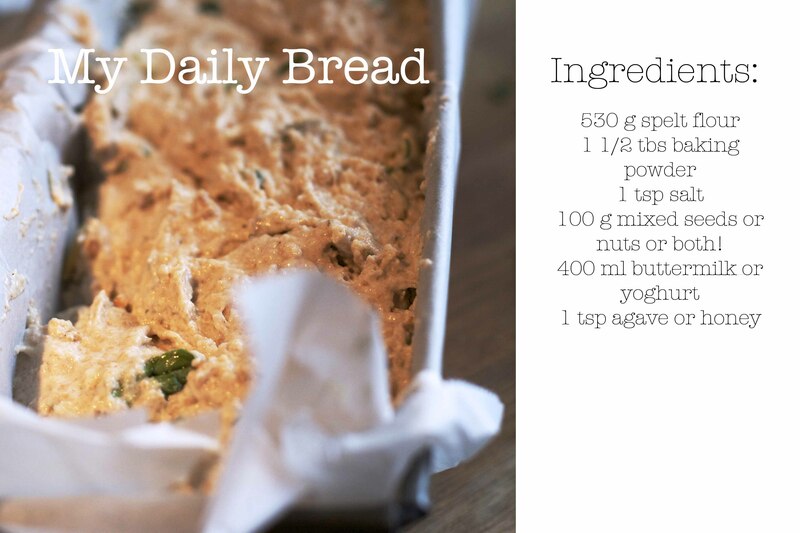 The dough should be quite wet – not runny, but not so thick that you could knead it. If it’s too dry, add a bit of water. That is your basic bread. But I like to tweak it! 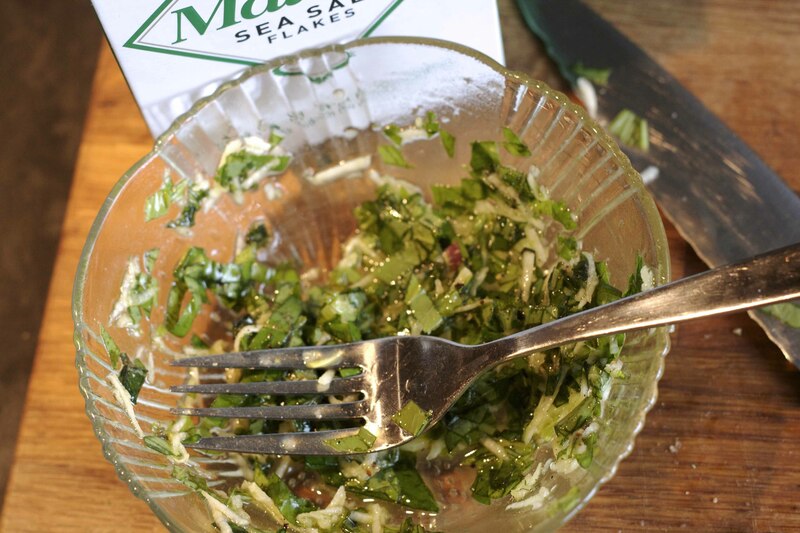 You can add just about everything you think would taste good: herbs, lemon, sundried tomatoes, olives… You name it. I improvised a rough-round-the-edges pesto: chopped some basil, grated some garlic (simple and so quick!) and parmesan cheese and combined with a splash of olive oil. I then folded this into the dough. 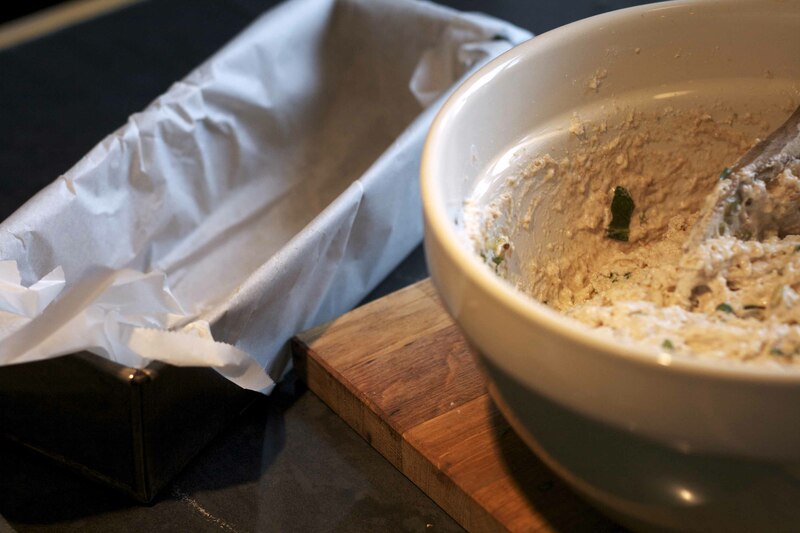 Line a basic loaf tin with baking paper – or use a lightly greased silicone loaf tin. “Pour” the dough in. Again, it shouldn’t be runny. Put it in the oven for around 40-50 minutes. If you’re like me and have no patience at all, go find something else to eat while the bread is in the oven, because the unbelievable smell will drive you out of your mind if you don’t. 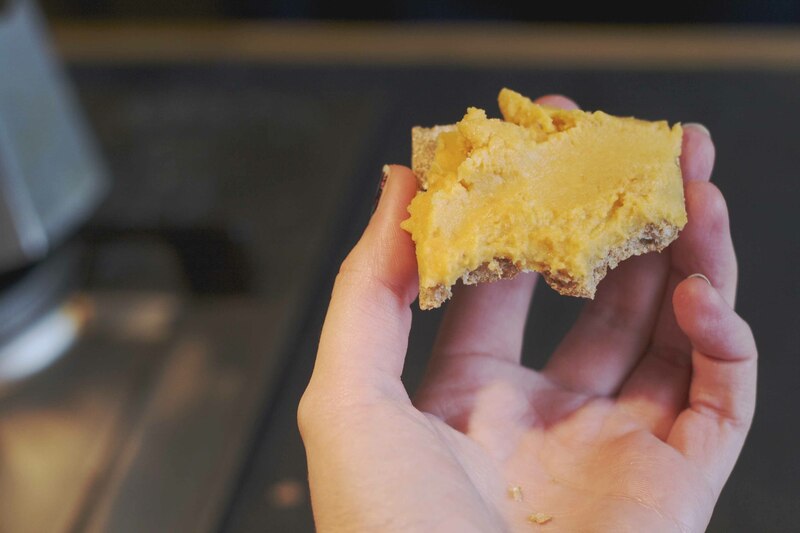 I had a crispbread with the sweet potato hummus I made yesterday. After about 40 minutes, check on your bread. 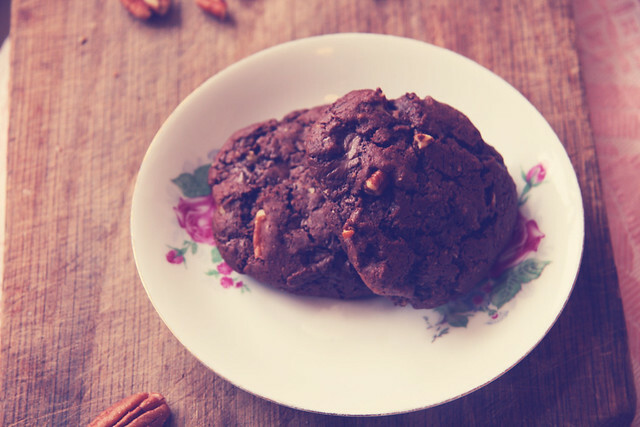 I like to lift mine out of the tin for the last 10 minutes of baking time or so – which is super easy because of the baking paper. Check your bread the ususal way: insert a pin or knife, if it comes out clean, the bread is ready. Allow to cool on a wire rack. Or, if you’re like me, don’t. 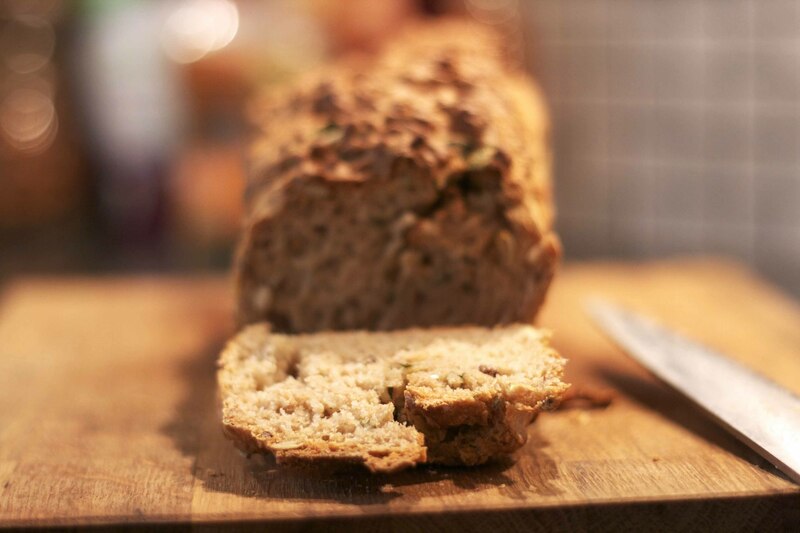 Carefully cut off a slice and admire your handiwork: the bread should be dense, yet fluffy; super soft but with a killer crust and smell like heaven. Mine did. Now, get cheese. And a bit of honey – organic, of course. Also, get your sea salt out. This might be my undoing. Eat a warm slice with cheese, a dribble of honey and just a tiny sprinkle of salt while standing up and gazing lovingly at the loaf. Repeat. Then, curse yourself for not doubling the recipe. Enjoy! Picture of a parking meter in Reykjavík. I took a completely unintentional leave of absence. The past week has been very busy, what with all the packing (I’ll stop complaining about it soon, I promise…), unpacking, quality time with friends and family I haven’t seen for far too long and working on the project I hope to be finished with in about a week. Or ten days. We’ll see. Anyway. I’m now in Hveragerði, a small town (well, it’s a veritable metropolis compared to Flateyri, but still…) in the south of Iceland where my boyfriend’s parents live. They run a guesthose in this quiet town – which probably has more trees than any other town in Iceland and is dotted with hot springs. Yes. My boyfriend’s grandparents’ house was actually situated pretty much on top of one. He and his cousins remember, um, holding it in rather than going to the bathroom when they were little, because the floor in there was so hot that it hurt to walk on. Crazy, huh? The week that passed since I packed all my kitchen utensils and gave away what food was left in the pantry back in Flateyri, and until I got the chance to go grocery shopping here in Hveragerði, made me realise that I don’t really function all that well without being able to cook. Or, you know, prepare my own food, at least. I’ve slowly been making some changes in my diet, aiming to eat more vegetabels and fresh fruit, more raw food and generally just pay more attention to nutrition. My intention isn’t weight-loss. I just want to be healthier and better educated in all things food and nutrition. And this week showed me that it’s taking hold. I felt kind of disgusted with myself after eating take-away meals or heavy home-cooked stuff for that many days in a row. I was craving something fresh: crispy vegetables, beans, lemon juice and vinegar instead of cream and cheese. It showed when I went grocery shopping – my cart looked like an advertisement for the largest health food company here in Iceland. Ridiculous. Yesterday evening, through the combined efforts of me and A, my boyfriend, we had an utterly delicious pasta for dinner; with scallops, roasted garlic, my improvised sprouted almond-cilantro pesto and avocado. I tried taking some pictures but I still feel completely out of my depth with my new camera – somewhat like I’ve stuck my hands in gardening gloves filled with water and am trying too perform a brain surgery I have no idea how to do. Must practice. We’ll see if my limited Photoshop-skills can save them, in which case I’ll post them later on. Ok, this post was not meant to go on forever. I actually just wanted to say that I’m still alive. And I’ll be back. And, hopefully, noone will be sorry.